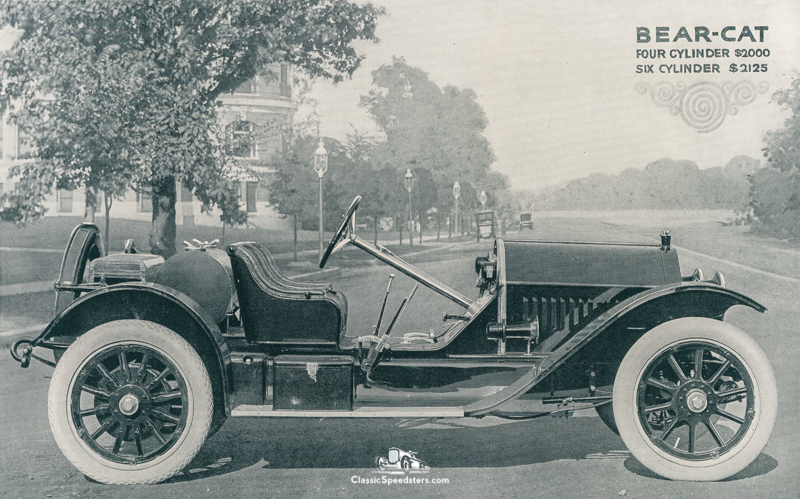 The cutdown speedster was a slang term of the early 1900s that aptly described what tinkerers and shade-tree mechanics were doing to their dad’s cast-off Model T. To remove the body, it was a simple task of unbolting the fenders and body unit, all of which came off with alacrity. This, of course, applied to whatever car was lying around, waiting to be “improved,” but the T was often the most available, and hence, the most likely donor. Upon body and fender removal what was left was an open platform, a blank slate of sorts, which of course required some seats, a fuel tank, but not really much else. 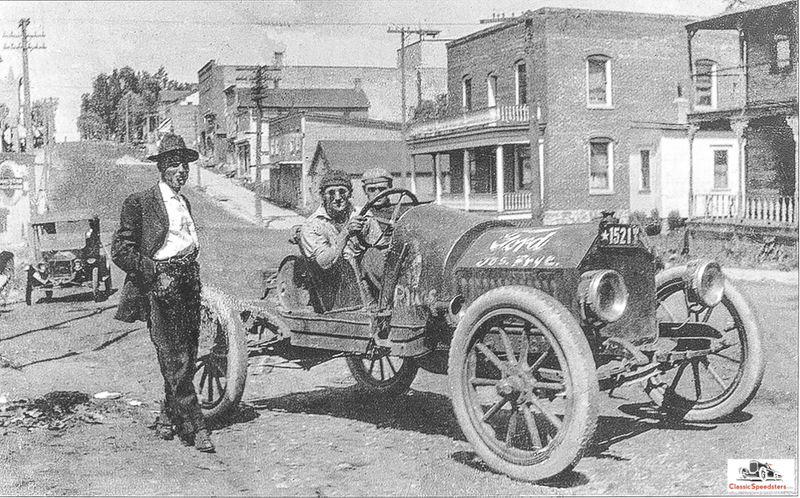 The role models for these cutdowns were the race cars vying for first at the local and national race tracks such as the 1908 Knox, driven by Billy Bourque, seen below. Final details creating those early cutdowns probably involved conversations including comments like the following. Instrument cowl? Okay. Windshield? Naah… Bumpers? Are you kidding? Adventure? You betcha! 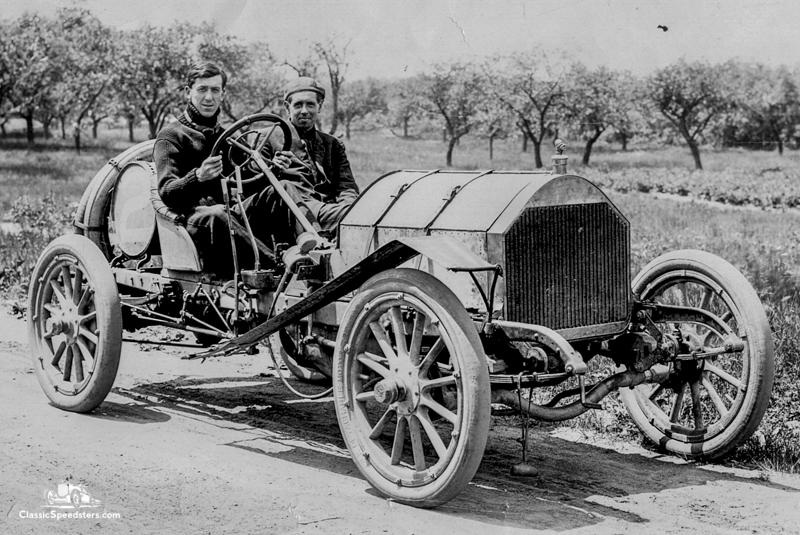 1908 Knox Model R courtesy John Hess collection. Not every cutdown-styled speedster came from a cast-off Model T, Chevrolet, or other ex-family car out behind the barn. Some were actually mildly stripped versions of other, less popular makes. Other examples were simply ex-factory emulations of existing track cars, but outfitted to be street speedsters. And if the Model Thirty didn’t get it for you, there were also the Forty or the Six-Sixty models. They looked to be the same, but each model was successively bigger. I mean, if you want to go, why not go BIG? 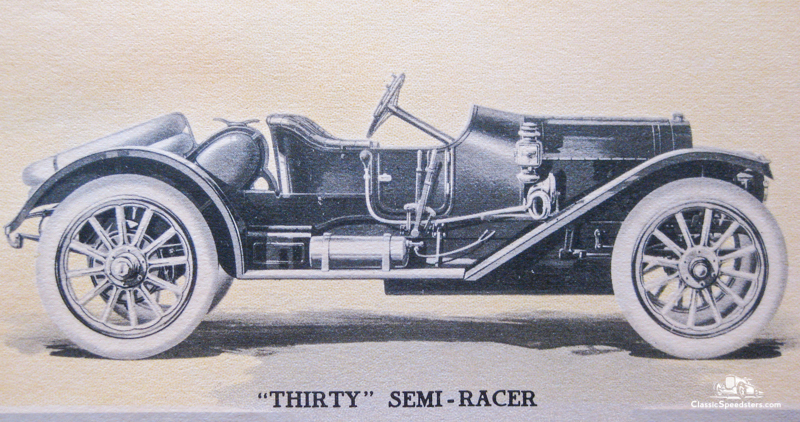 A third group that fit the open-platform, cutdown style of early speedster were the dual-purpose speedsters sold by Stutz and Mercer. These models were stripper cars when compared to their company’s siblings. They were built to drive to the track, win, place, or show, collect the trophy, and drive home in time for Sunday dinner. It was a simple removal of lights, horn, and fenders, and =voila!= … track hero! Quite a bunch of enthusiasts – go check them out!